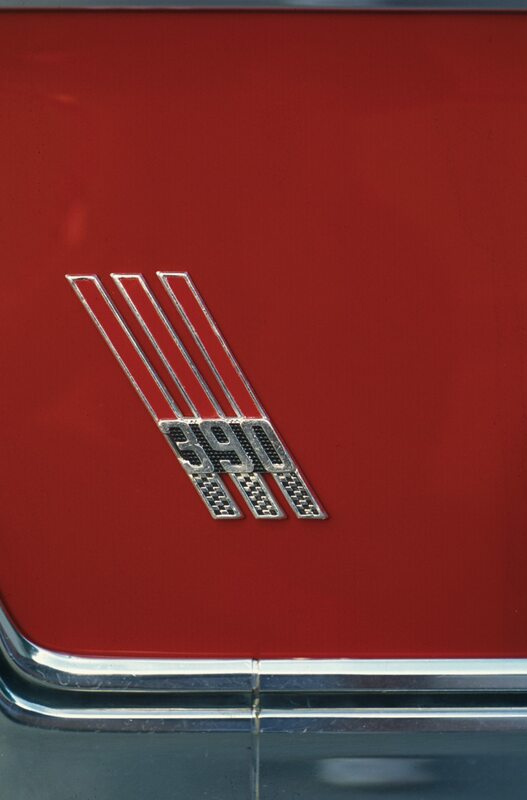 The Galaxie nameplate first appeared on Ford’s far-out looking dream car dubbed LaGalaxie. (Note the French spelling. Galaxie, in this case, means a collection of brilliant persons or ideas.) A shortened version of its name was probably its most significant contribution. The new Galaxie displaced the Fairlane 500 in the hierarchy about a month after the introduction of the 1959 Fords. By 1962, the Galaxie became the Galaxie 500; the numerical addition to the name reportedly was to more closely associate the car with NASCAR’s 500-mile races; Ford spent big money to support racing teams during the decade. At the midpoint of the year, the Galaxie 500/XL was added to the line. The sportier model was distinguished with a V8, bucket seats and console as standard equipment. Sporty cars and winning races both proved to be good sales tools. This is one of 197,388 Ford Galaxie 500 two-door hardtops built for the 1967 model year, but it is one of a kind to the owner/author. For ’66, Ford wanted to compete with their monstrous SOHC (single overhead cammer) 427 that produced well over 600 horsepower. NASCAR refused to allow it, however, and Ford withdrew from competition in protest at the midpoint of the season. Around this time, independent teams started competing with the lighter Fairlanes and did well, so Ford officials ended their protest and returned with Fairlanes for their racing teams. The intermediates carried the performance banner for Ford into the early ’70s, at which time Ford terminated their support for racing programs. The basic design of the ’67 full-size cars was established with the practically all-new 1965s; succeeding year models through 1968 were based on the ’65s. Major sheet metal updates each year kept these Fords looking fresh. The full-size bodies sat atop an all-new perimeter frame with coil springs supporting the load front and rear. The 1965 full-size Fords were almost as different from their predecessors as the 1949 Ford was from the ’48, and were said to be “new from road to roof.” About the only major components carried over were the V8s. One other important change that year was the addition to the line of the luxury oriented Galaxie 500/LTD. 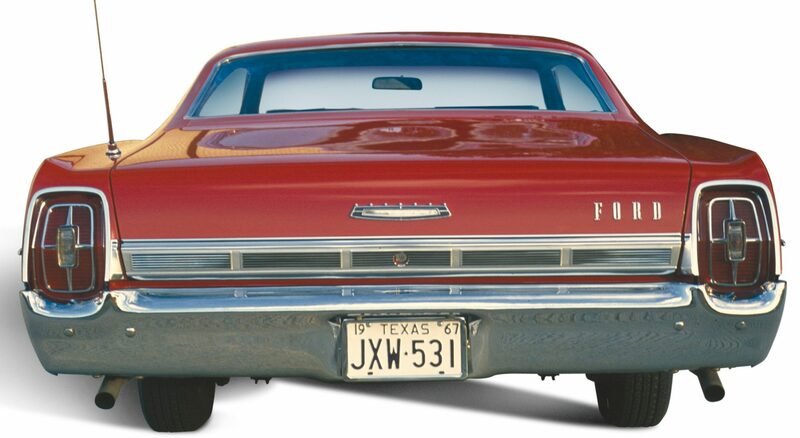 For model year 1967, the LTD and XL were separated from the Galaxie 500 series; the top-line models were simply named LTD and XL. Ford’s brochure on their full-sized cars highlighted all the advantages to owning one. While the Fairlanes and Mustangs had sports car appeal, the full-size cars kept a sporty allure. The ’67 two-door hardtops appeared to be sleeker than the ’66 models, and the bucket seat/console equipped, V8-powered XLs remained in the line-up. Furthermore, the big Fords could still be ordered with either a 410 horsepower 427 4-bbl. or the dual-quad type that delivered 425 horsepower. Ford also continued offering the SOHC through the parts department. Also available was one of two 428s, a 345-horsepower version and a 360-horsepower police interceptor. That is a lot of horsepower, but the main purpose of the 428 was to provide extra horsepower for accessory (e.g., air conditioning) laden cars and plenty of low-end torque. For serious performance, one had to select the 427; few buyers did. 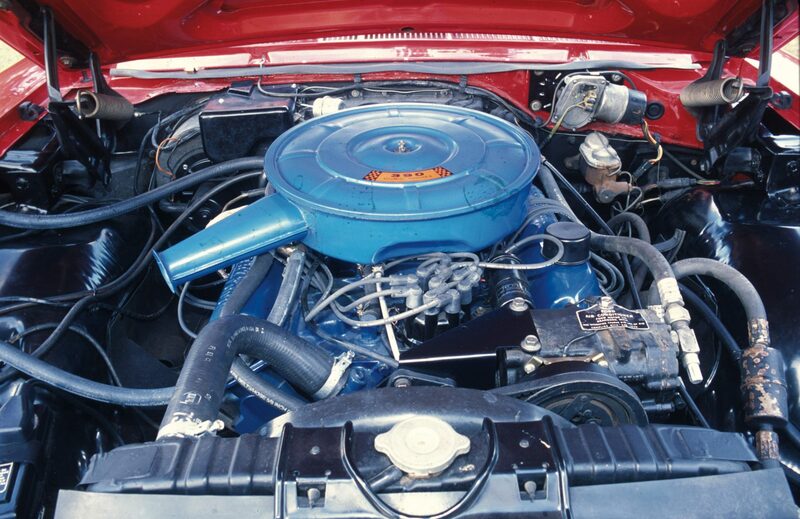 The standard engine for the full-size line (except for the LTD and XL which came standard with a 289) was the 150-horsepower, 240 cubic inch Big Six; however, most ’67 Galaxie 500s came with an extra-cost V8 which was typically a 289 or a 390 2-bbl. The rebuilt 390 is bolted to the C-6 once again. For 1967 there were essentially two versions of the 390, one with a two-venturi carburetor and the other with a four. However, 390 2-bbl. engines received codes of Y or H depending on whether a manual or automatic transmission was bolted to it. When the 390 2-bbl. was coupled to a manual shift transmission, it was rated at 265 horsepower, but when attached to an automatic the rating was 275 horsepower. (Ford simplified the matter of the horsepower rating for the 390 2-bbl. by averaging the two figures and listing them both as having 270 horsepower in their own literature.) The Z-code 390 was topped with a four-barrel, had a higher compression ratio, and got dual exhausts; these features upped the output to 315. As for transmissions, Ford offered a variety of them—three-speed column shifted, four-on-the-floor, plus the automatics C4, C6, FX, MX, and XPL. The type installed depended upon such factors as engine selection and whether a trailer-towing package was ordered. The March 1967 Motor Trend provided interested readers with the results of a comparison test of the Galaxie 500, Impala Super Sport, and Plymouth Sport Fury. 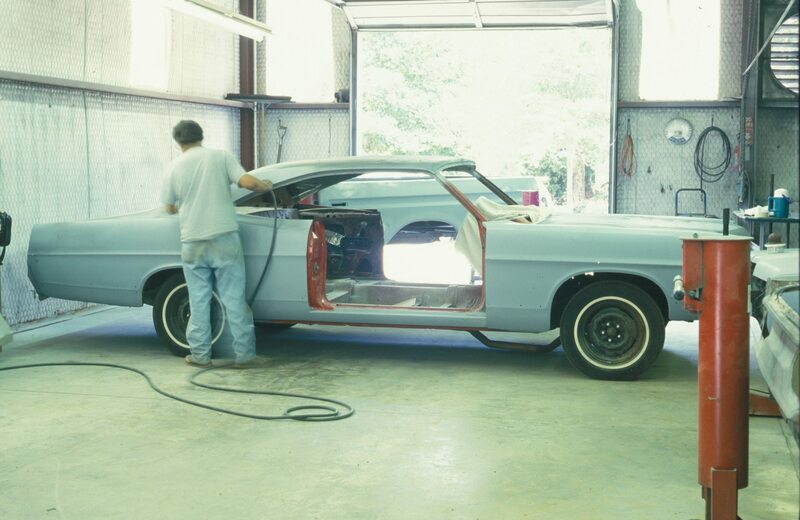 In terms of handling and roadability, the Ford impressed the MT evaluators the most “due to its quietness more than its handling characteristics.” They elaborated that, “With windows closed, the Galaxie interior is almost completely sealed from all road noises and those of passing cars. It didn’t handle the best of the three, but we could learn to live with this a lot easier than leaking window seals and noises emanating from mechanical parts.” They also noted that the Galaxie 500 is “…an equal performer to Chevy and Plymouth in all but the most severe cornering and rebound conditions—an area where most Galaxie owners won’t research.” Motor Trend concluded the three cars were very similar in all areas. 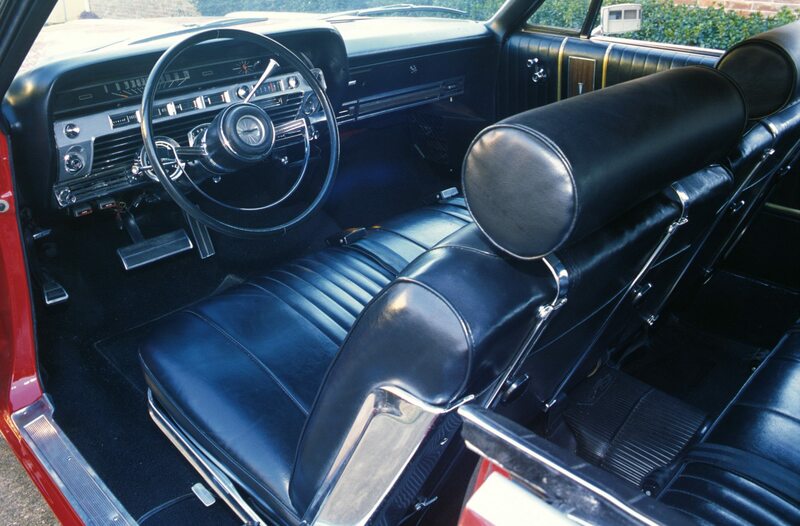 Standard features of the quiet riding Galaxie 500 series included a choice of 15 monotone paint colors, five interior colors for the combination vinyl and cloth upholstery (all vinyl on convertibles), in-line six cylinder coupled to a three-speed column-shifted manual transmission, two-speed electric windshield wipers, heater, bright lower body and wheel well moldings, carpeting, and illuminated ash tray, glove box, and trunk. Optional features included the aforementioned engines and transmissions, wheel covers, extra bodyside molding or pinstripping, choice of AM, AM/FM, or AM/8-track stereo, power steering, power brakes (all drum or front discs), power windows, air conditioning, two-tone paint (except convertible), all vinyl upholstery (standard on convertible), plus a large variety of dealer installed accessories. 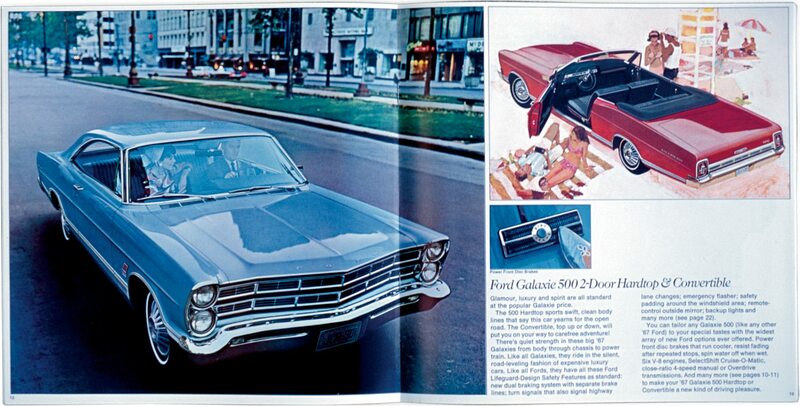 The most popular model in Ford’s line-up for ’67 was the Galaxie 500 two-door hardtop, an example of which is illustrated here. 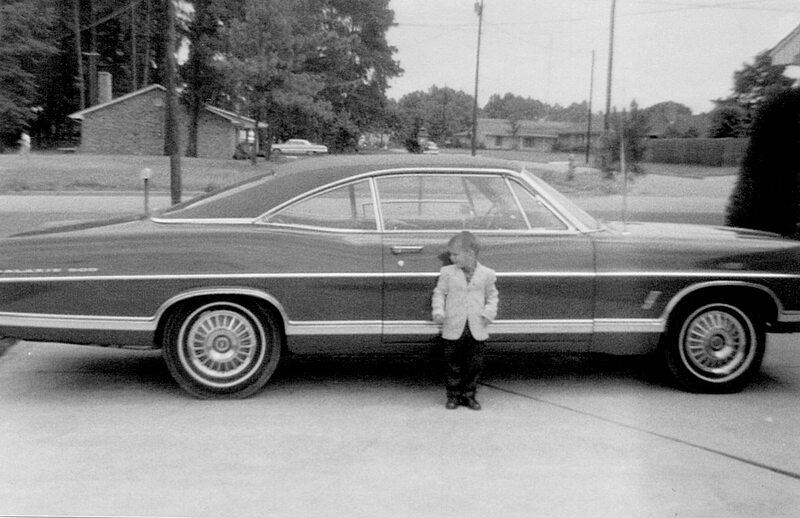 During the summer of 1967, mom and dad went in search of a new Ford. (Dad had a preference for Fords in the 1960s.) A beige two-door example with the 289 had gotten my dad’s interest. However, my mom had other plans, she had her eyes on a candyapple red car with a black vinyl top. She probably did not notice the 390 emblem on the fender nor the window sticker, but my dad did. He was practical and did not want to pay the extra cost added by the 390 ($78.25) and vinyl top ($74.36). Mom was less frugal; she wanted the red and black one, which is what she got. As I said, dad was practical. The all vinyl upholstery was an option. Headrests and 6,000rpm tachometer are Ford accessories. Other options and accessories on the feature car include electric clock, AM/8-track stereo, a litter basket, and headlights on reminder buzzer. The Ford became my daily driver in August 1983, when the car had just under 50,000 miles on the clock and served as such until May 1995, and 94,000 miles later, when another vehicle assumed the daily transportation needs. During those dozen years, the car was repainted; the radiator was re-cored; the transmission rebuilt; the compressor, carpet and vinyl top were replaced; the front seat cushion was reupholstered; the bumpers replated; the suspension was rebuilt, and dual aluminized exhausts were added; plus, several more factory options and accessories (AM/FM, reverb, power antenna, head rests, rear window defogger, styled steel wheel covers, etc.) were installed. My car in primer. Many hours of block sanding were needed to insure a smooth paint job. Continued usage took its toll; by 1998, another repaint was needed and the tired 390 required rebuilding. Worst of all, rust had virtually destroyed the roof and it too, had to be replaced. A local shop, R&R Restoration, was hired to perform the body and paintwork. A .040 re-bore, a new cam and rocker arm assemblies along with hardened valves put new life into the engine. Replacement of the rear wheel bearings and seals renewed the 9-inch rear end. Today, the 37-year old Galaxie 500 is driven sparingly with occasional outings to a local cruise night or car show. There were 197,388 of these two-door hardtops built for 1967, but in my opinion this car is one of a kind. It’s a family heirloom. Bore and Stroke: 4.05×3.78 in. 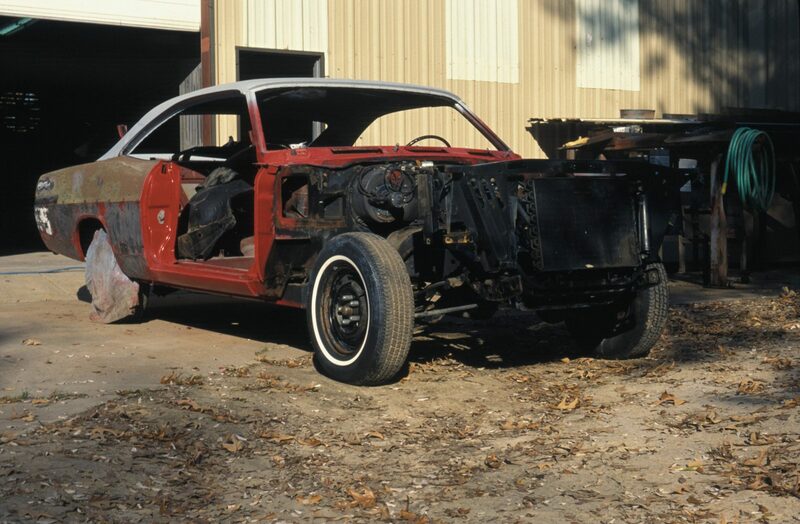 This is how my car appeared after partial disassembly and after the paint was stripped away. The roof was grafted on earlier and is in primer. If you have an early model Ford or another collectible you’d like to insure with us, let us show you how we are more than just another collector vehicle insurance company. We want to protect your passion! Click below for an online quote, or give us a call at 800.678.5173.